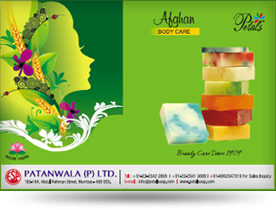 E.S.Patanwala is a pioneering name in skin care products since 1909 and is a mark of excellence. 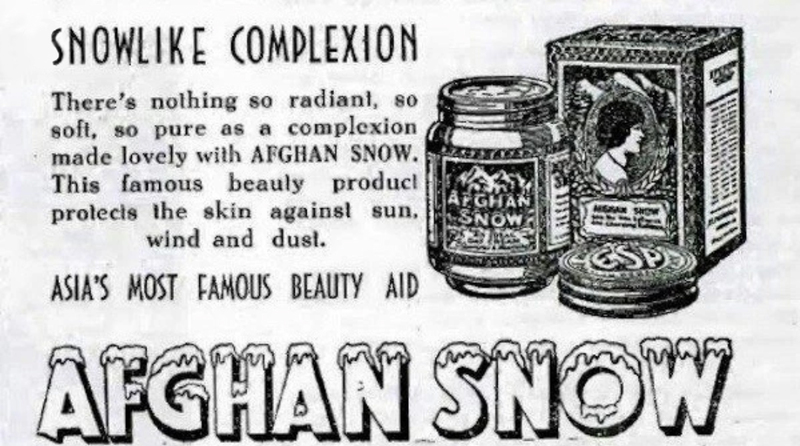 Afghan Snow is India's first and foremost beauty cream made in the year 1919. 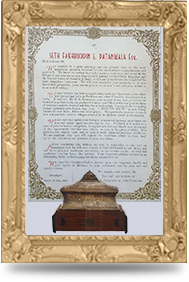 Mr. E.S.Patanwala founded the company in 1909. 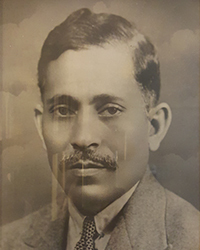 A young man by the name of Ebrahim Sultanali Patanwala set foot in Bombay in the early 20th century leaving his humble home in Jhalra Patan, a small principality in Rajputana (Current day state of Rajasthan). He found a job with a perfumer and picked up the rudiments of blending perfumes. Astute work, sincerity, honesty, diligence and good fortune paved the way for the start of a new business. 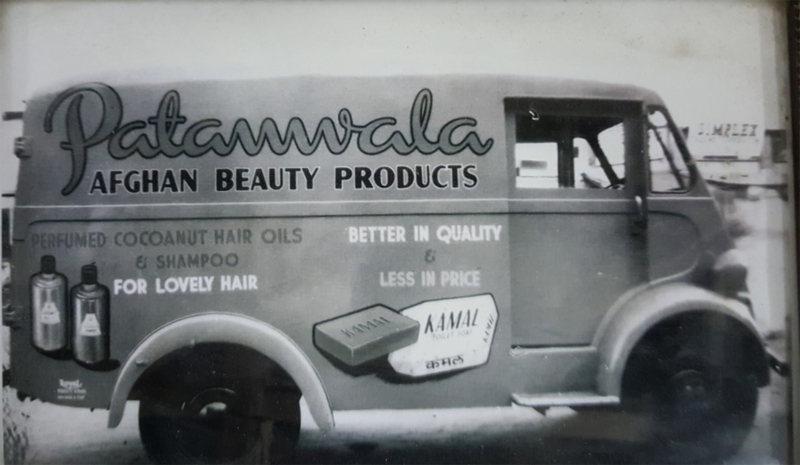 He started manufacturing hair oil called "Otto Duniya" and over time it became quite successful. 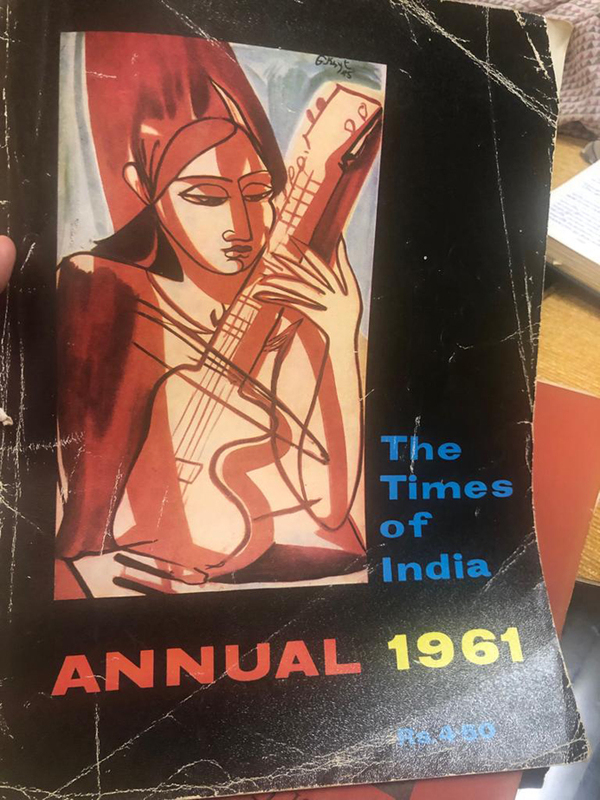 Very soon he started his own laboratory and office in Bombay. 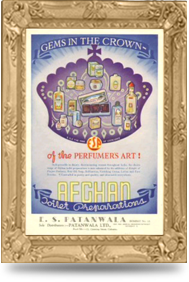 He established Messrs. E.S.Patanwala in 1909 and started selling oils and perfumes, some of which were imported. 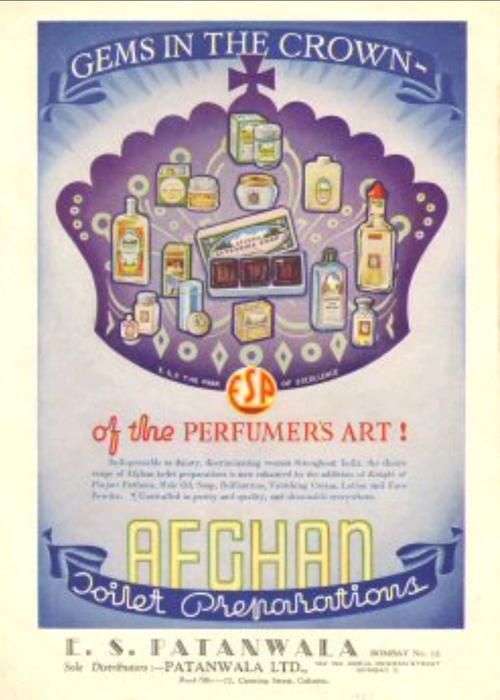 With growing expertise, his perfumes and oils grew in popularity. 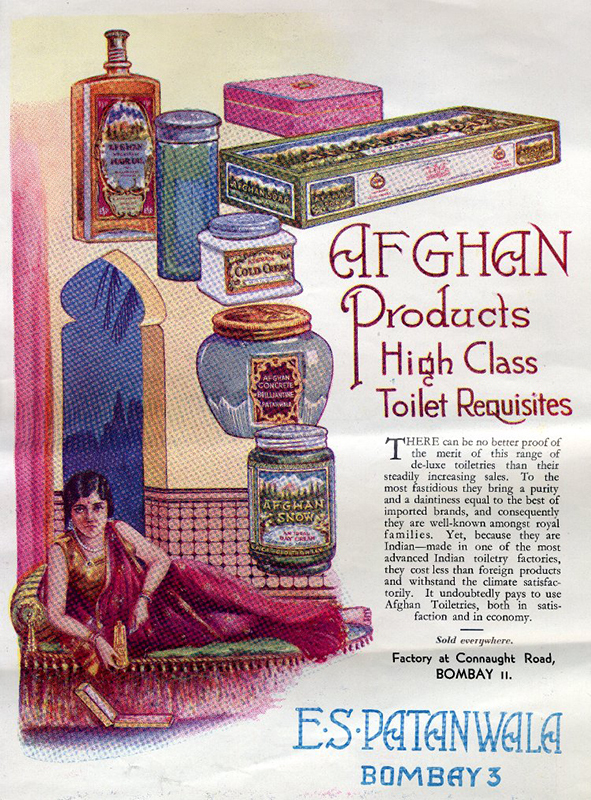 His creations gradually drew patronage from the English gentry and princes of India. Maharaja Jhalawar, Maharaja Patiala, Maharaja Gwalior and Maharaja Kota became a part of his choice patrons. Ambitious for greater success led him through Europe and in spite of a rudimentary knowledge of English; he established contact with the largest maker of aromatic chemicals in the world, Leon Givaudan of Switzerland. 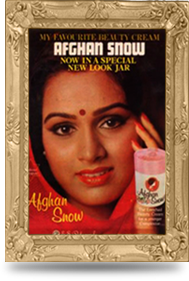 With their training and guidance he developed a face cream that was to become a household word for skin care in India. 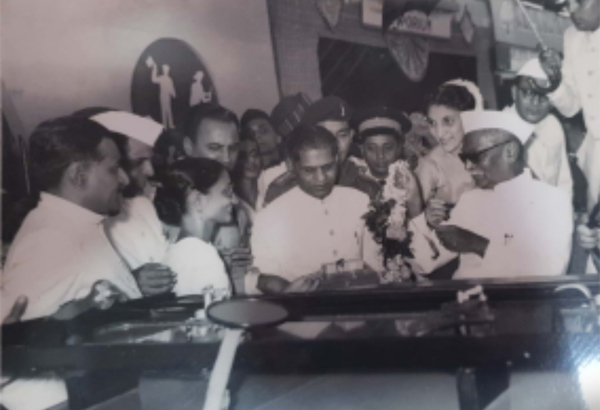 Mrs. F.E Patanwala with India's first President Dr. Rajendra Prasad and prominent Gandhian Homi J.H. Talyarkhan. 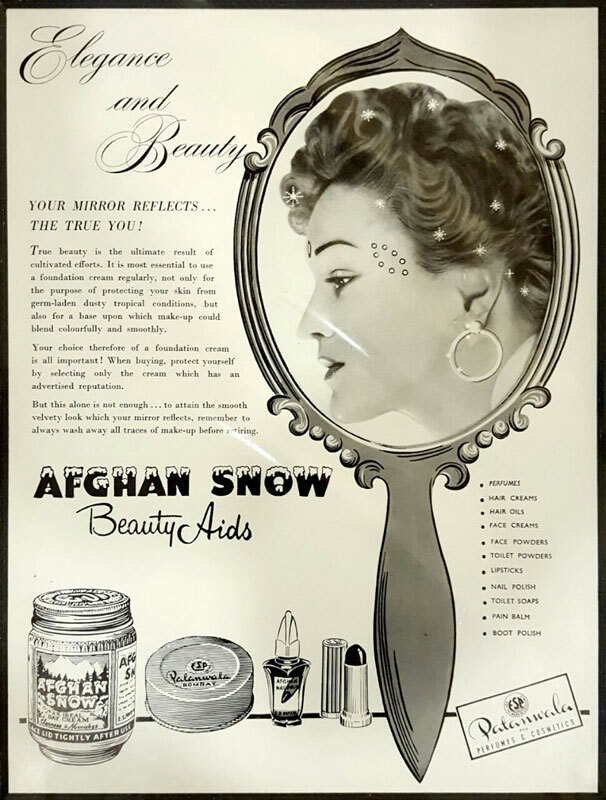 How Afghan Snow Got Its Name ? 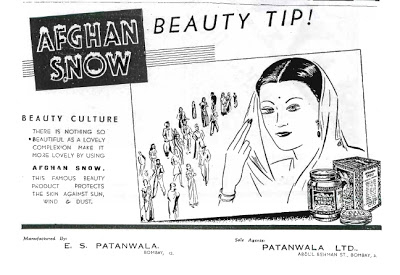 Mr. Patanwala came to India with the formula for the cream as well as for the perfumes. The bottle for the cream was imported from Germany and labels from Japan. His Majesty King Zahir of Afghanistan convened an audience with Mr. E.S.Patanwala along with a few other select entrepreneurs on his visit to India. 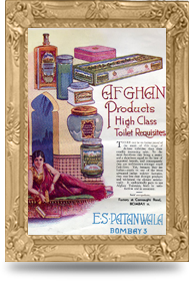 The king was presented a hamper with all E.S.Patanwala products; in it was a jar of pearly white cream without any name. 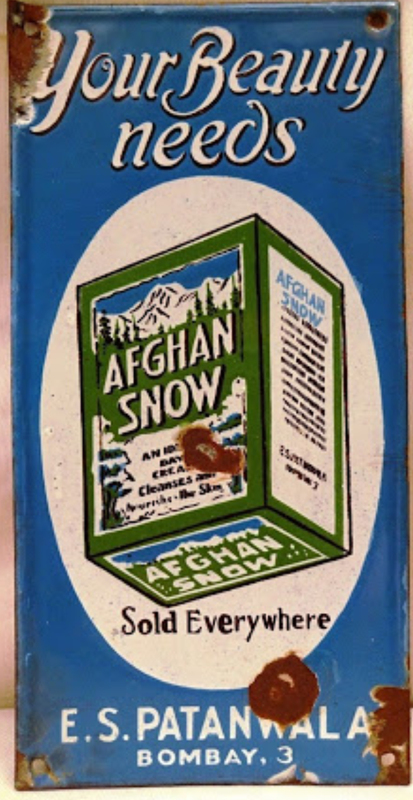 When King saw the cream he remarked that the cream reminds him of the Snow of Afghanistan. 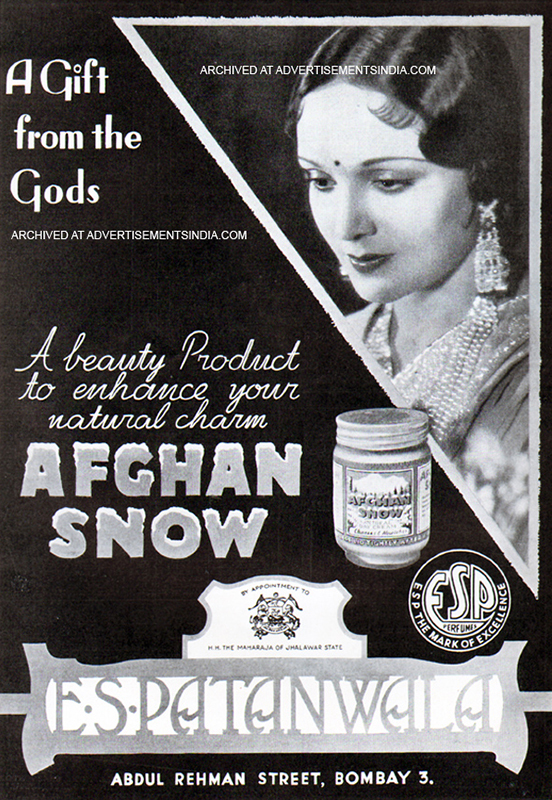 Mr. Patanwala asked if the cream can be named as "Afghan Snow" to which the King contentedly agreed. 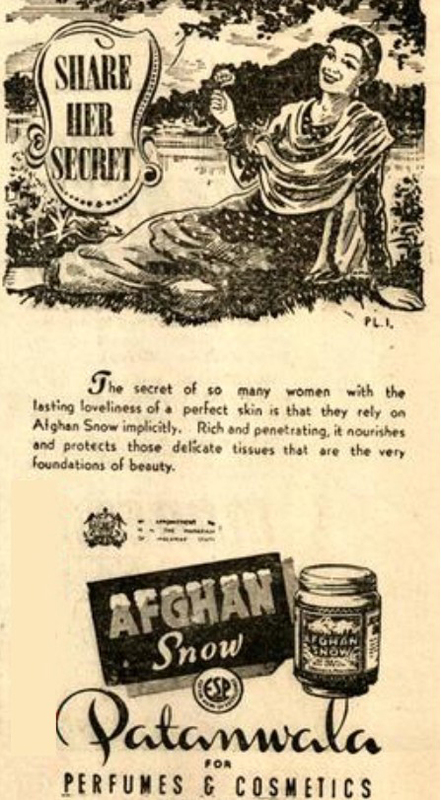 This cream was introduced in 1919. 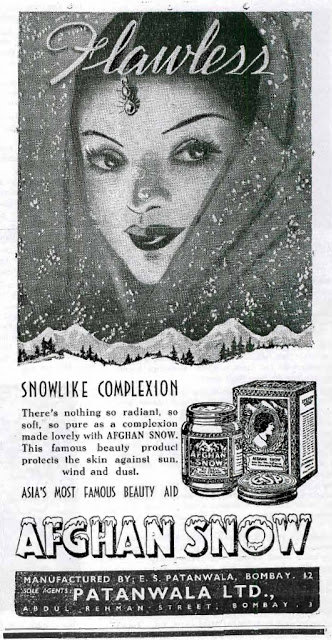 "Afghan Snow" thus became India's first beauty cream. 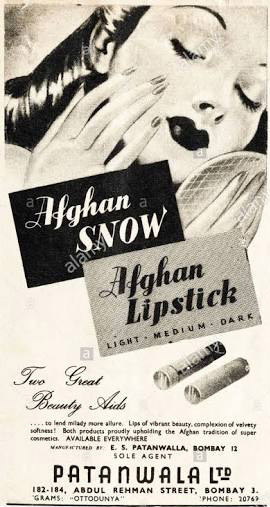 In its initial packing it was written by the appointment of the King of Afghanistan and the King of Jhalawar until India become independent in 1947. 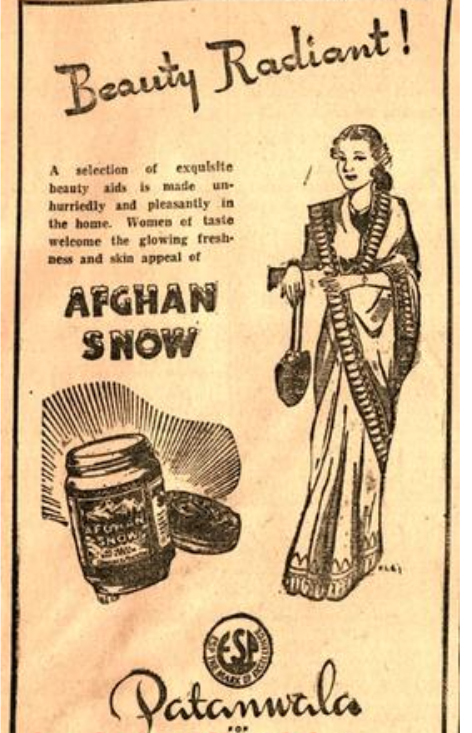 Afghan snow is a brand which had been endorsed by our Father of Nation Mahatma Gandhi. 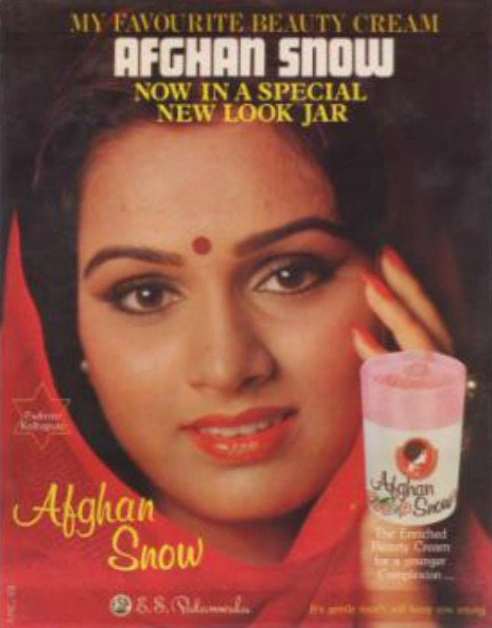 During Swadeshi movement the cream got listed in the foreign product category to be boycotted. 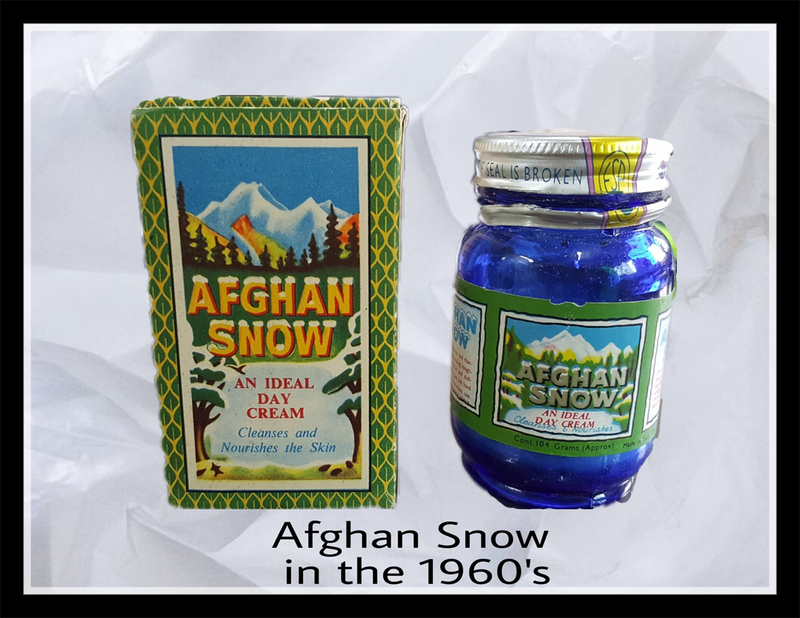 As the bottle and the label were imported it gave the impression of an imported product. 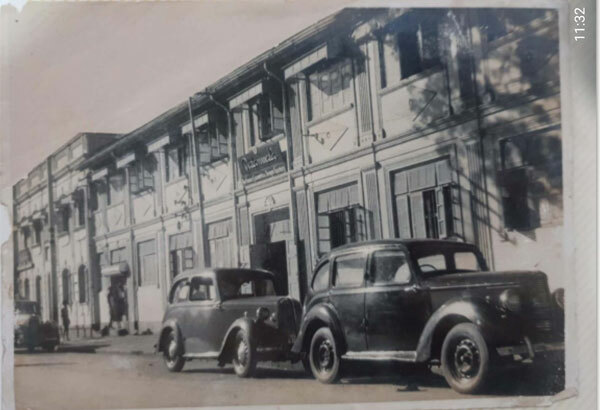 Mr. E.S.Patanwala contacted Mahatma Gandhi through letter and personally informed about how the product is wholly an Indian product as it is began manufacturing in Byculla near Victoria Garden in Bombay (Mumbai). 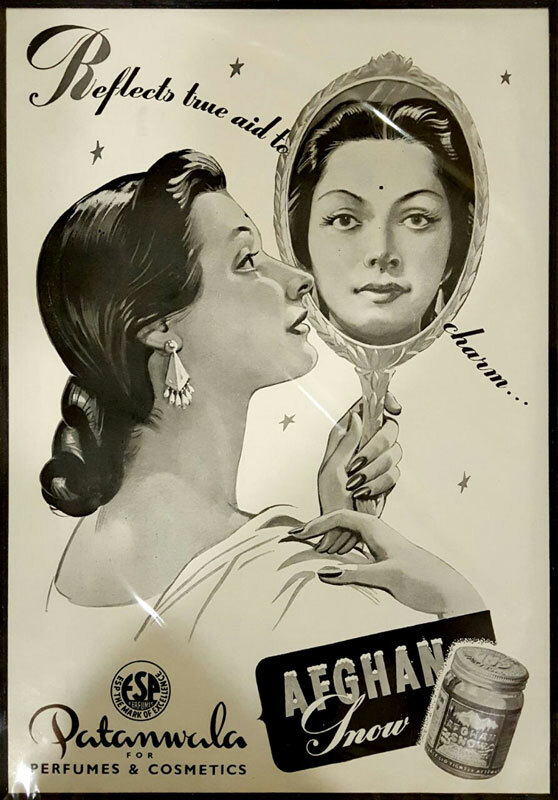 It is then Mahatma Gandhi wrote in his newspaper that we boycotted a product, but it is wholly an Indian product and we appreciate that such a nice product is from India and I endorse the product. 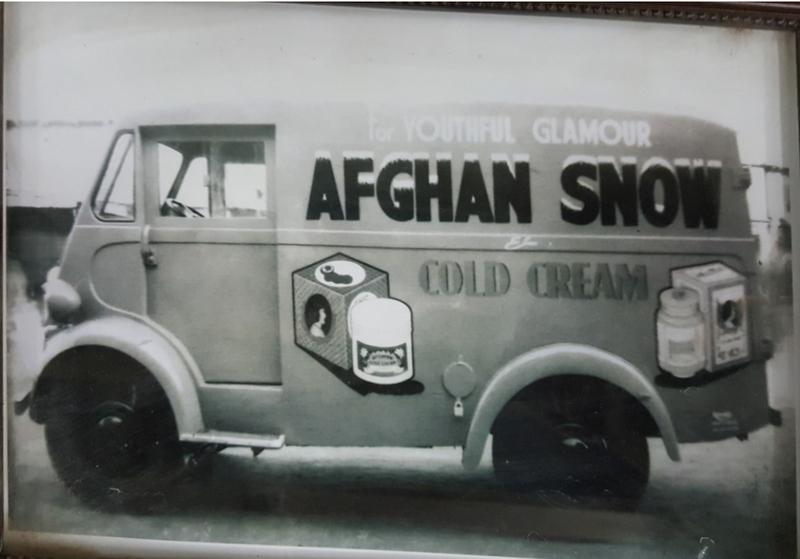 Johnny Norman an Anglo Indian was the person behind the promotion of the brand. 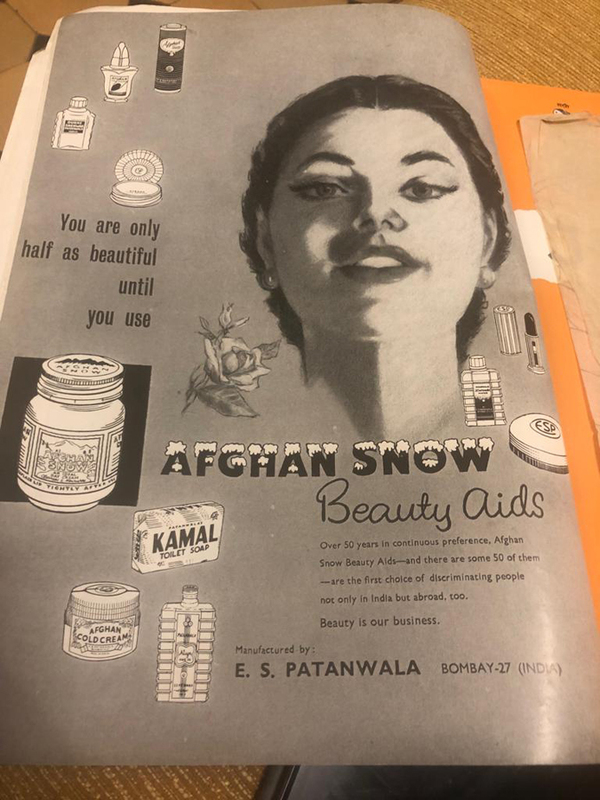 Afghan Snow sponsored 'Patanwala Ball' a yearly event which was conducted at the Green’s hotel, a three star hotel, which was at the annexe of the Taj Mahal Hotel Bombay. .
At the ‘Patanwala Ball’ the crème and elite class of society came. Some of the top artist at the time used to perform at the function. Sitara Devi performed Kathak and celebrities like Raj Kapoor and Nargis to name a few embraced the occasion. 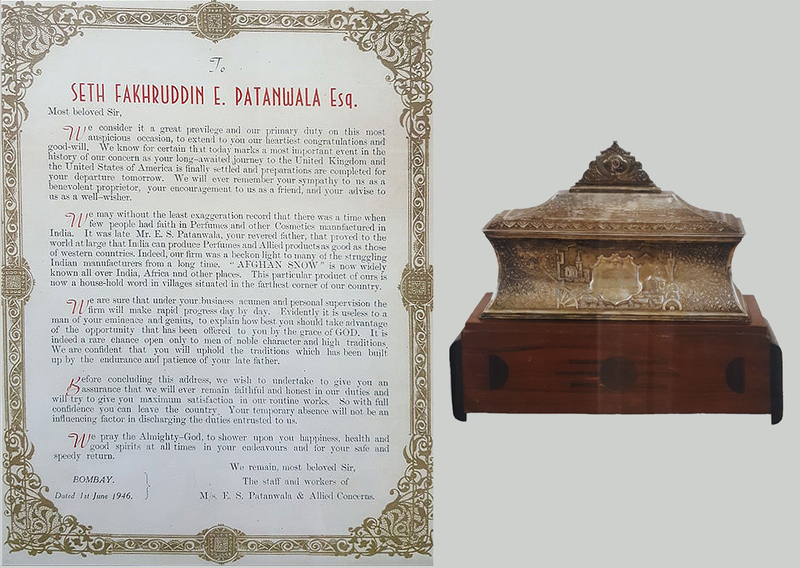 The ‘Patanwala ball’ use to be conducted in the metro cities in those days. One of the reasons for choosing a metro city, was as that kind of gathering could be found in those cities only. 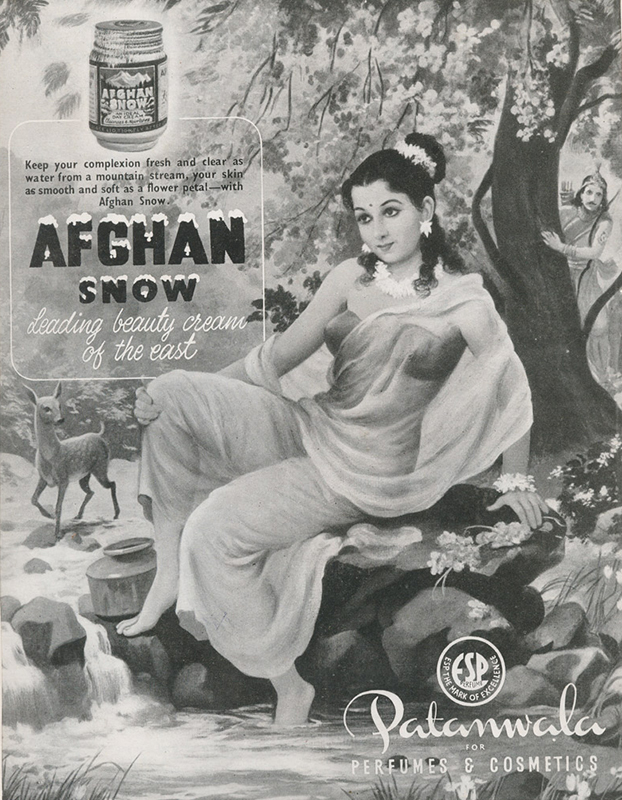 First Miss India concert was sponsored by the Afghan Snow in 1952. Indrani Rehman was the winner of the event. 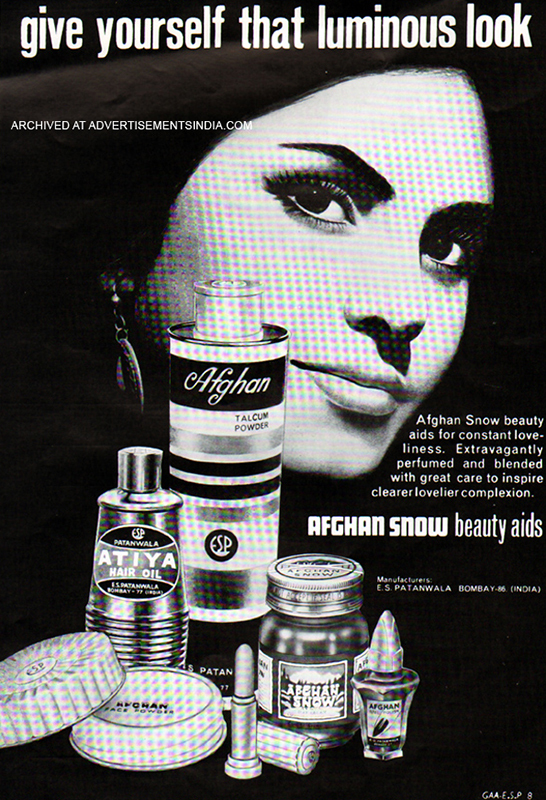 They also sponsored Persis Khambatta who later acted in the movie called Star Trek. 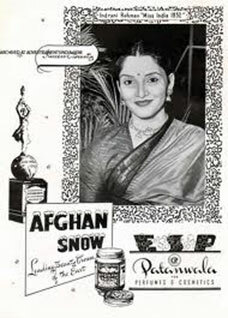 Few of the famous Bollywood personalities sponsored by Afghan Snow were Tanguturi Suryakumari (actress and singer), Yashodhara Katju (actress and comedian). 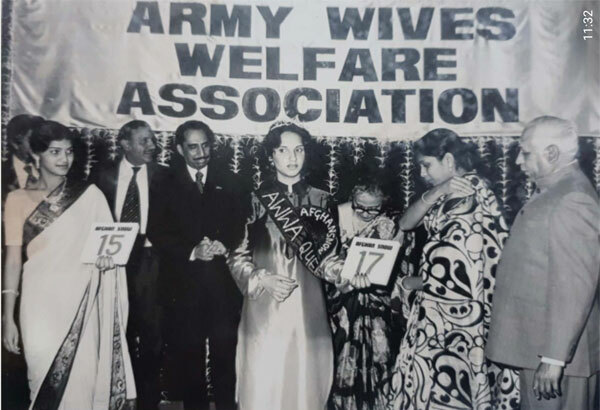 Till 1975 Patanwala were the sponsors for the Indian Navy Ms.Navy concert. 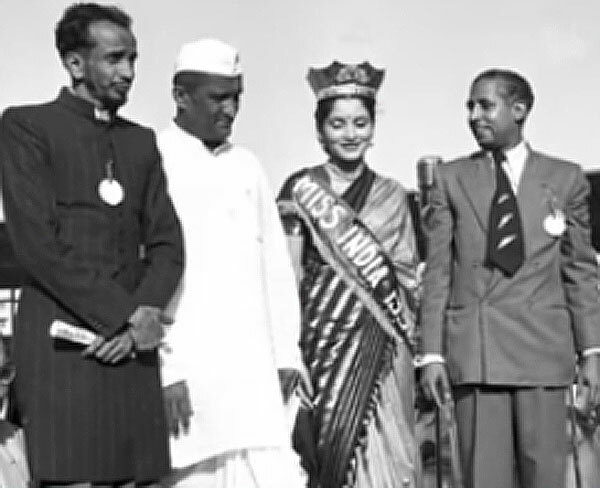 MR F.E Patanwala with Miss India, Indrani Rehman, June 28th 1952. 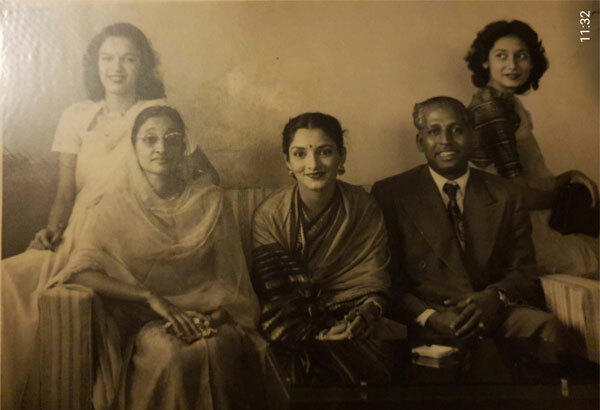 Mr & Mrs F.E Patanwala with Miss India 1952 Ms Indrani Rehman. 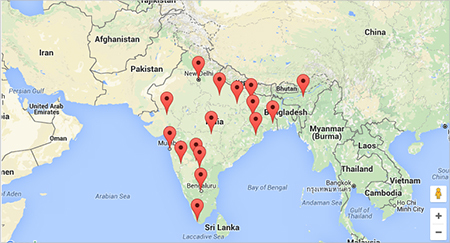 Also in photo Miss Bangalore and Miss Calcutta.